Love them. They are huge and cute. The finishing is good quality. It's fun to wear them around. 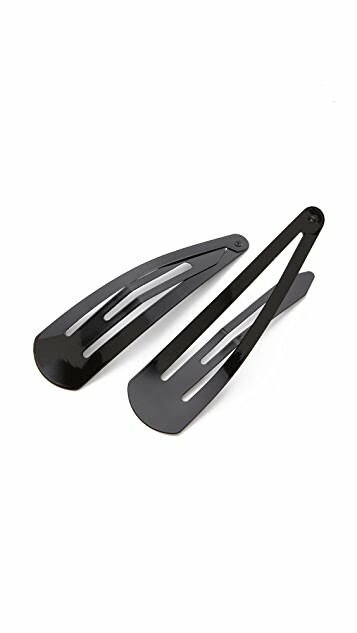 I have fine hair that's curly and voluminous, and these clips slide right out when I wear it my usual way, blown out. One clip arrived scratched/with the black paint worn away in some spots, so I used the other one. It did not hold at all, no matter how much hair I put in it. I'd have to secure it with a bobby pin and just wear it for the look. 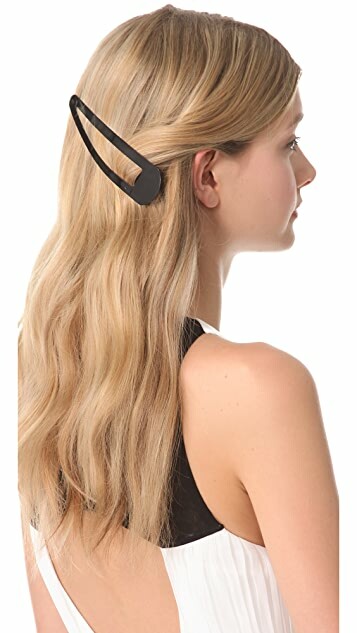 It's looks good, but doesn't really hold your hair. Not bad for the price. My friend loves unique items and I bought this for her birthday and she loved it and said it worked great in her hair. it is my 3rd time purchase these clips, once in gold color, twice in black here. absolutely love it! yet metal will be worn out and clip part is loosen up with time, so i keep reordering new pieces. I have never seen such gigantic hair clips and just HAD to try it out. These are seriously as huge as pictured on the girl's hair. I actually laughed when I saw these in person. I would suggest putting on clear nailpolish over the clips to protect the black (if that is the color you purchase) paint from chipping off. Everything about it is just like a standard/normal sized clip....just 100x bigger!